Twenty-six-year-old Maggie Barnes is someone you would never look at twice. Living alone in a month-to-month sublet in the huge city of London, with no family but an estranged sister, no boyfriend or partner, and not much in the way of friends, Maggie is just the kind of person who could vanish from the face of the earth without anyone taking notice. Or just the kind of person MI5 needs to infiltrate the establishment and thwart an international plot that puts all of Britain at risk. Now one young woman has the chance to be a hero - if she can think quickly enough to stay alive. A thrilling fourth installment in the CWA Gold Dagger-winning Slough House series. What happens when an old spook loses his mind? Does the Service have a retirement home for those who know too many secrets but don't remember they're secret? Or does someone take care of the senile spy for good? These are the questions River Cartwright must ask when his grandfather, a Cold War-era operative, starts to forget to wear pants and begins to suspect everyone in his life has been sent by the Service to watch him. But River has other things to worry about. A bomb goes off in the middle of a busy shopping center and kills 40 innocent civilians. The agents of Slough House have to figure out who is behind this act of terror before the situation escalates. 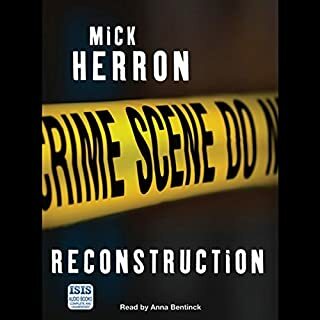 I appreciate Mr. Herron's writing style - his masterful use of words and tongue-in-cheek humor make listening to his books easy and enjoyable. Each of his books seems to improve upon the other. This is a wonderful series and with each new book released it just gets better and better. 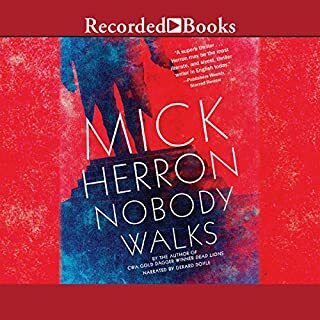 I definitely recommend starting with the first book in the series (and an extra tip: read Mick Herron's book Nobody Walks prior to reading Spook Street). You will have a much better understanding of one of the characters if you do. This author excels at character development. You may not like the characters, but you will definitely feel like you come to know them. The plot is exciting and the pacing is spot on. I strongly recommend this series. As always, Gerard Doyle's narration is stellar. I do this to myself every time: buy the audible version and forsake my own life until I've listened to the end. 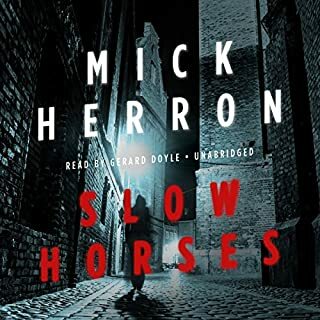 Herron's Slough House series rises above ordinary thrillers, which I find formulaic and boring, by being character driven while also being as tense as they come. They're also tremendously funny. When Jackson Lamb finally shows up at Slough after a long absence, I cracked up so much that I had to listen to the scene twice. There's just enough background so that you can enjoy this book without having read the previous three, but why would you deny yourself the pleasure? 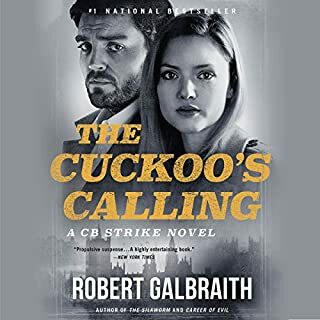 I have waited for months for this book to appear on Audible. The dialogue is witty and fast paced and the narration is spot-on. 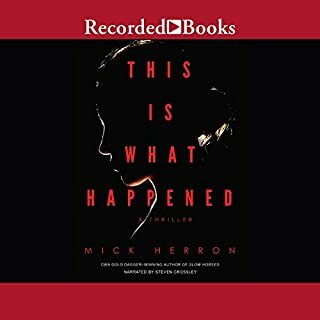 My only regret is that I finished it in two days and will have to wait months for the next installment, but I know it will be well worth the wait. 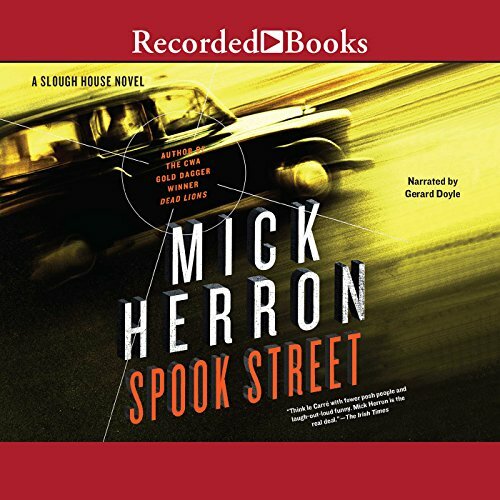 Where does Spook Street rank among all the audiobooks you’ve listened to so far? In the espionage genre, this rates very highly. The concept is a bit off the wall, but the characters go from strength to strength in each unusual story. I am not happy with some of the obscenity, but it is at least consistent with the characters. What was one of the most memorable moments of Spook Street? Just about every time Lamb puts in an appearance is a memorable moment. Buy it, read it - good book. No spoilers. Jackson Lamb continues to be the most hideous awful boss, the most hilarious, most brilliant, most devious and ultimately the most loyal and stand-up boss imaginable. Head Dog Emma Flyte is a great new addition. Looking forward to the next one. 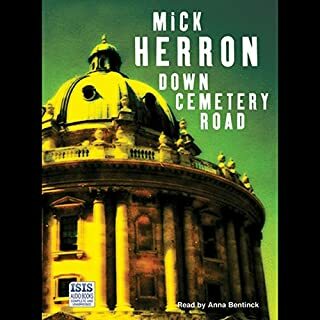 Mick Herron's Slough Street series is a extremely well-written and developed, with intricate, rather believable spy plots. And they are funny. Your jaw may hang once in a while at how relevant the supposedly fictional plots are. Fans of Olen Steinhauer and Le Carre will enjoy these. They are a little lighter because of the humor, but don't we all need that right now? I love this series but this one had jokes that were less funny and a twist that was completely predictable. Still worth a listen but wait for it to go on sale. Curmudgeon old spy with wonderfully outlandish dry British humor. Staff of misfits, intrigue from without and within, brilliantly read, what is not to love? Another twisty story on Spook Street! I enjoyed this romp and sped through it quickly. The characters are just as flawed yet somehow manage to do the work necessary. You must love those Slow Horses.